Lizzie Simmonds clocked her fastest 100m Backstroke time since 2010 as she won gold on day two of the British Summer Nationals 2017. The University of Edinburgh swimmer finished in 59.72 to take the touch in the senior final, more than a second clear of the field. While Simmonds is a two-time World Championship finalist and a European silver medallist over 100m Back, most of her international successes have come over 200m, including Commonwealth silver in 2010. But her performance in Sheffield raises the prospect of a fresh attack on the 100m Back podium at the Gold Coast 2018 Commonwealth Games next year. Simmonds’ time would have qualified her for the final at this week’s World Championships in Budapest and is faster than both Wales’ Georgia Davies and Scotland’s Kathleen Dawson could manage in the individual event in Hungary. English swimmers Athena Clayson and Turaya Evans also landed 100m Backstroke gold medals on day two in Sheffield. Mount Kelly swimmer Clayson took her PB down to 1:03.02 to claim the 16 Yrs title while Carn Brea’s Evans took the touch in the closest final of the night. The 14-year old knocked more than a second off her PB to win in 1:05.07 from lane 7 in the final while Plymouth Leander’s Honey Osrin came home for silver just 0.01 seconds back in 1:05.08. Northampton’s Charlotte Fletcher-Stables was the first English swimmer home in the 15 Yrs final, claiming silver in a PB 1:04.42 while Woking’s Anna Maine won silver in the 17/18 Yrs final in 1:02.06. Leah Crisp set a PB to win the 16 Yrs 800m Freestyle, just four days after setting her previous lifetime best more than 4000 miles away. The City of Leeds swimmer was one of the stars of England’s Commonwealth Youth Games team in the Bahamas last week, winning the 400m and 800m Freestyle double in Nassau. But 15-year old Crisp moved her PB on from her 8:49.94 effort on international duty, clocking 8:48.16 to claim age group gold. 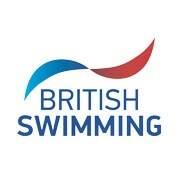 There were also English swimmers on top of the podium in the 15 Yrs and 17/18 Yrs age groups. City of Birmingham’s Isobel Griffiths improved on her silver from 12 months ago to claim 17/18 Yrs gold in 8:50.48 while Beckenham’s Tiegan Child set a PB 9:08.36 for 15 Yrs gold. University of Stirling’s Danielle Huskisson fought stroke for stroke with Welsh swimmer Ellena Jones as the two battled for the senior title, with Jones narrowly taking the touch in 8:38.29 to Huskisson’s 8:38.58. Meanwhile, Barnet Copthall’s Fleur Lewis was the fastest English swimmer in the 13/14 Yrs age group with a PB 9:02.16 for silver.